Need Service? Call Our Experts (786) 574-5714! Can’t seem to keep your appliances in line? It may be time to call on the experts. Mr. Appliance® of Homestead is here to make sure your home appliances are running smoothly again. We even answer our phones 24/7 to ensure your appliance emergencies are handled as quickly as possible! When you need our qualified team to take a look at your household appliances, just give us a call. We offer flexible appointment times and go the extra mile to tackle your service needs. Be sure to contact us at (786) 574-5714 to set up service! Finding an appliance repair company you can trust in your home can be challenging. What qualifications should you be looking for? How do you know they are trained to tackle your specific appliance? Mr. Appliance of Homestead is here to take the stress out of the selection process for you. 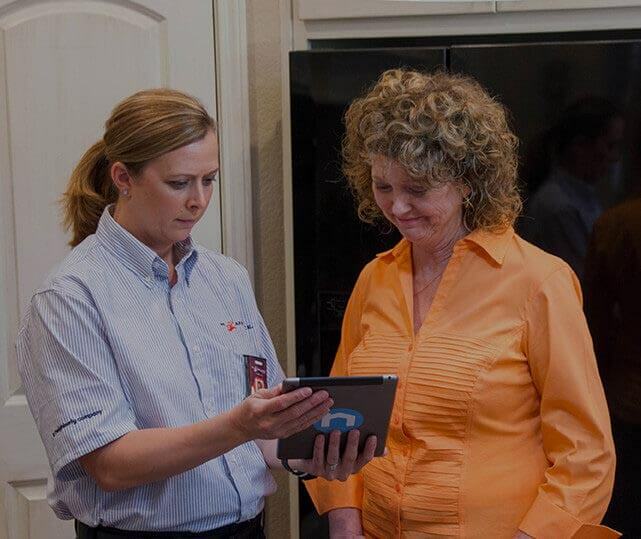 We make sure you understand your appliance problems and the work we do to fix, never keeping you in the dark. If you would like to learn more, we encourage you to reach out to us today! At Mr. Appliance of Homestead, we make it our mission to exceed your expectations. We do that by offering exceptional quality service in a fast timeframe. Need service in the afternoon? Prefer morning appointments? We work around your schedule and make sure you are completely satisfied! Whether you’re dealing with laundry room troubles or kitchen problems, our team can handle all types of residential appliances, so do not hesitate to reach out to us at any time. Call (786) 574-5714 to schedule service with our experts.